The last Games was held in Incheon, South Korea from 19 September to 4 October 2014, while the next games will be held in Jakarta and Palembang, Indonesia from 18 August to 2 September 2018. Before the Asian Games were held, a gathering known as the Far Eastern Championship Games existed which was first mooted in 1912 at a location set between the Empire of Japan, the Philippine Islands, and China. 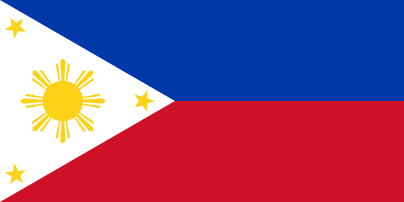 The Far Eastern Games were first held in Manila in 1913 with 6 participating nations. Ten more Far Eastern Games were held until 1934. Against the backdrop of the second Sino-Japanese War in 1934, in the face of Japan's insistence on including Manchu Empire as a competitor nation in the Games, China announced its withdrawal from participation. Consequently, the Far Eastern Games scheduled for 1938 were cancelled. The organization was ultimately discontinued. In 1970, South Korea dropped its plan to host the Games allegedly due to national security crisis, however the main reason was due to financial crisis, forcing the previous host Thailand to administer the Games again in Bangkok using funds transferred from South Korea. 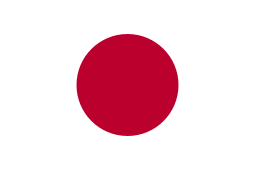 Prior to the Games, Japan was asked to host the Games, but declined due to Expo '70 in Osaka. This edition also marked the first time the Games have a television broadcasting throughout the world. 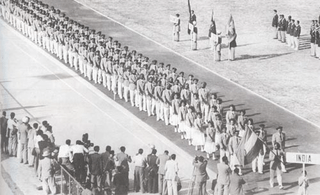 In Tehran, in 1974, the Games formally recognized the participation of China, North Korea and Mongolia. Israel was allowed to participate despite the opposition from Arab world, while Taiwan was permitted to continue taking part (as "Chinese Taipei") even though its status was abolished in general meeting on 16 November 1973 by Games Federation. In history, 46 National Olympic Committees (NOCs) have sent competitors to the Games. Israel has been excluded from the Games since 1976, the reason cited as being due to security reasons. 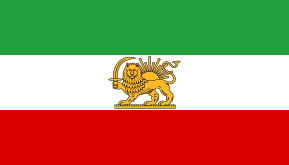 Israel requested to participate in the 1982 Games, but the request was rejected by the organizers due to the Munich massacre. Israel is now a member of the European Olympic Committees (EOC). Of the 45 National Olympic Committees participating throughout the history of the Games, 43 nations have won at least a single medal in the competition, leaving three nations: Bhutan, Maldives and Timor-Leste yet to win a single medal. 37 nations have won at least one gold medal (only Japan and India have done so at every Asian Games), while Japan and China became the only two nations in history to emerge as overall champions. ↑ "Fully renovated basketball arena ready for Asian Games". Sports City. 22 July 2009. Archived from the original on 13 June 2010. Retrieved 8 September 2010. ↑ "Track: Asian Games Dropped By Olympics". Daytona Beach. 23 August 1962. Retrieved 14 August 2010. ↑ "第4届 1962年雅加达亚运会". data.sports.163.com. Retrieved 14 August 2010. ↑ "Penalty Dealt to Indonesia". Spokane Daily Chronicles. 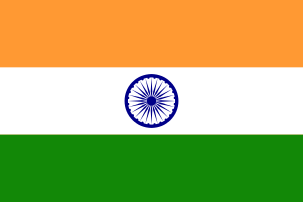 13 September 1962. Retrieved 14 August 2010. ↑ "Warning". The Age. 30 August 1962. Retrieved 14 August 2010. ↑ "第六届 1970年曼谷亚运会". Data.sports.163.com. Retrieved 22 July 2010. ↑ "Thailand's Sporting Spirit". Pattaya Mail Sports. Retrieved 22 July 2010. ↑ "第六届 1970年曼谷亚运会". data.sports.163. Retrieved 9 October 2010. ↑ "第七届 1974年德黑兰亚运会". data.sports.163.com. Retrieved 9 October 2010. ↑ "第8届 1978年曼谷亚运会". Data.sports.163.com. Retrieved 22 July 2010. ↑ "Asian Games Federation says no to Israel". Anchorage Daily News. 3 June 1978. Retrieved 9 October 2010. ↑ "New Israeli rejection forces Asian athletes to risk Olympic hope". The Montreal Gazette. 22 November 1978. Retrieved 9 October 2010. ↑ "Indonesia, Hong Kong protest ban on Israel". St. Petersburg Times. 4 December 1978. Retrieved 9 October 2010. ↑ "Israelis facing Asian ban". Ottawa Citizen. 10 December 1981. Retrieved 9 October 2010. ↑ "Olympics". The Montreal Gazette. 28 November 1981. Retrieved 9 October 2010. ↑ "China welcomes Taiwan's AG trip". Manila Standard. 16 July 1988. Retrieved 9 October 2010. ↑ "第12届 1994年广岛亚运会". data.sports.163.com. Retrieved 9 October 2010. ↑ "Let the Games Begin". New Straits Times. 3 October 1994. Retrieved 9 October 2010. ↑ "Asian Games ban Israel". St. Petersburg Times. 26 July 1976. Retrieved 29 July 2007. ↑ "Israel not invited to Asian Games". Lakeland Ledger. 26 May 1982. Retrieved 29 July 2007. ↑ "No place for Australia in Asian Games". The Sydney Morning Herald. 2007-04-17. Retrieved 2010-07-29. ↑ "1st AG New Delhi 1951". OCA. Retrieved 22 July 2010. ↑ "2nd AG Manila 1954". OCA. Retrieved 22 July 2010. ↑ "3rd AG Tokyo 1958". OCA. Retrieved 22 July 2010. ↑ "4th AG Jakarta 1962". OCA. Retrieved 22 July 2010. ↑ "5th AG Bangkok 1966". OCA. Retrieved 22 July 2010. ↑ "6th Asian Games Bangkok 1970". OCA. Retrieved 22 July 2010. ↑ "7th AG Tehran 1974". OCA. Retrieved 22 July 2010. ↑ "8th AG Bangkok 1978". OCA. Retrieved 22 July 2010. ↑ "9th AG New Delhi 1982". OCA. Retrieved 22 July 2010. ↑ "10th AG Seoul 1986". OCA. Retrieved 22 July 2010. ↑ "11th AG Beijing 1990". OCA. Retrieved 22 July 2010. ↑ "12th AG Hiroshima 1994". OCA. Retrieved 22 July 2010. ↑ "13th AG Bangkok 1998". OCA. Retrieved 22 July 2010. ↑ "14th AG Busan 2002". OCA. Retrieved 29 September 2002. ↑ "15th AG Doha 2006". OCA. Retrieved 1 December 2006. ↑ "16th AG Guangzhou 2010". OCA. Retrieved 22 November 2010. ↑ "17th AG Incheon 2014". OCA. Retrieved 19 September 2014. 1 2 "Outstanding Japanese athletes in Asian Games". gz2010.cn. 21 January 2010. Retrieved 8 May 2011. ↑ "S Korean Swimmer Park Named MVP". China.org.cn. 16 December 2006. Retrieved 8 May 2011. ↑ "Lin Dan voted Asian Games MVP". Jakarta Post. 28 November 2010. Retrieved 8 May 2011. ↑ "Samsung MVP Award: 2014 MVP is Kosuke Hagino of Japan". The Korea Herald. 4 October 2014. Retrieved 4 October 2014. 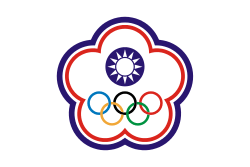 ↑ "OCA General Assembly opens in Macau". OCA. Retrieved 9 November 2012. 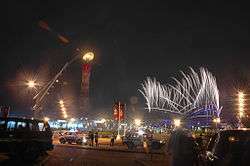 ↑ "Philippines to host 2013 Centennial Asian Games". Inquirer Sports. Retrieved 19 February 2013.